What a cutie. They are so acrobatic. Fantastic, glad they are coming back to your garden, they will be regular visitors now that they know where the peanuts are! Lovely bit of video Shirley. 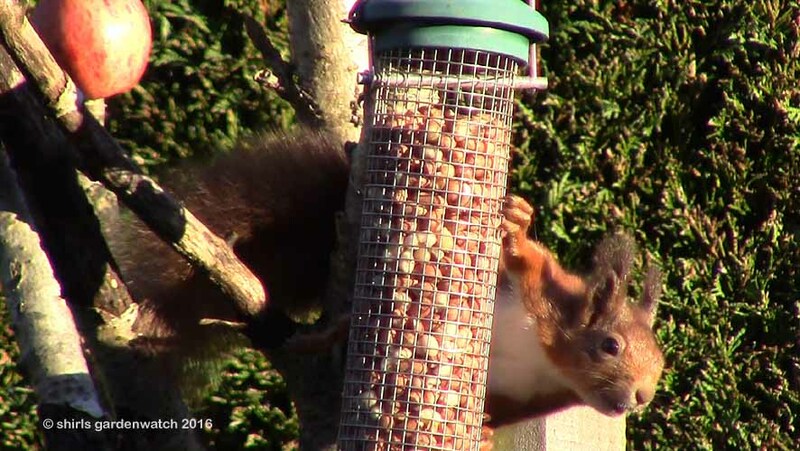 Squirrels are amazing acrobats. I've just seen a local Grey negotiate a washing line to reach a feeder I hang on it. Pauline, it is fantastic, fun to see my sighting recorded in a map too. I’m not seeing it on days I’m home so hard to tell how regularly it’s visiting but had a fun hour watching and taking more photos today. I would love to see one in our garden but I don't think I ever will. Too many 'greys'.